Holiday shopping is about to begin in earnest! Save yourself the guesswork and the trips to crowded malls by ordering your gifts online! 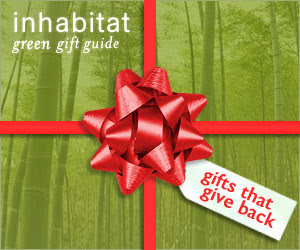 I have put together two great, green gift guides for toddlers and for new parents over at Inhabitat! Check them out and let the gift-giving begin!